I see lots of discussion about getting RDP (Remote Desktop Protocol) to work on a Verizon network. Much of this discussion is pretty harebrained and doesn’t speak logically about the issues. Here’s my process and discussion on the subject. Why do you want to do this? Because there’s are not many reasons to pay GoToPC or other companies for the privilege of accessing your computer remotely. Most Windows computers have RDP built in, unless you get one of the “Home” versions of Windows 7, in which case you’ll have to work around that. The main idea is you want to take RDP traffic coming from the internet (TCP default port 3389) and route it to a machine in your house on your local network. This will be TCP traffic on port 3389 if you use the defaults. It’s not much more complicated than that. I have the Actiontec mi424wr router and my brother-in-law has the Westell 9100em. I’ve got it working on the Actiontec and next up is the Westell. Type sysdm.cpl in the Start prompt to start the System control panel applet. Select the Remote tab and allow connections using whichever method you want to allow. The less secure method refers to the original RDP client on Windows XP and other prior operating systems (might also be the Mac RDP client). The more secure client can be updated on XP and is part of Windows 7. Don’t ask me about Vista…just like Windows ME it never existed in my book. 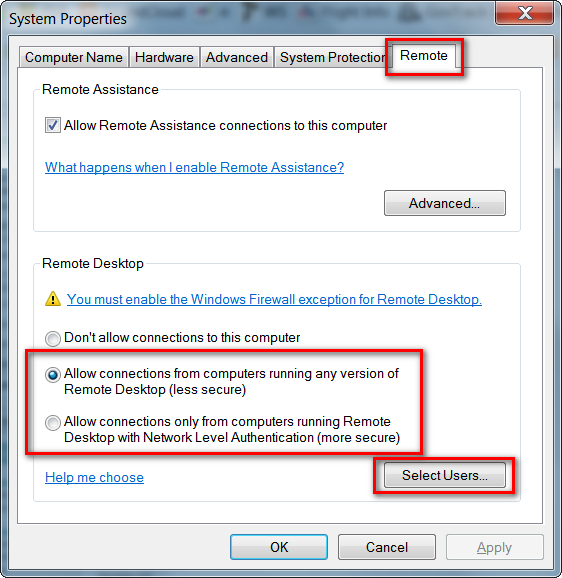 You can add users for remote desktop action if they are not already in the administrators group. 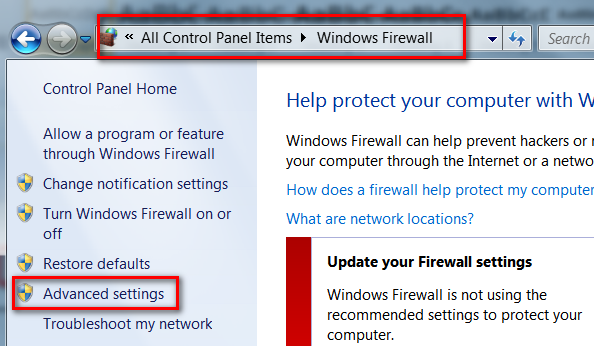 On the Actiontec MI424WR router, log in as admin and click on the Firewall Settings icon along the top. 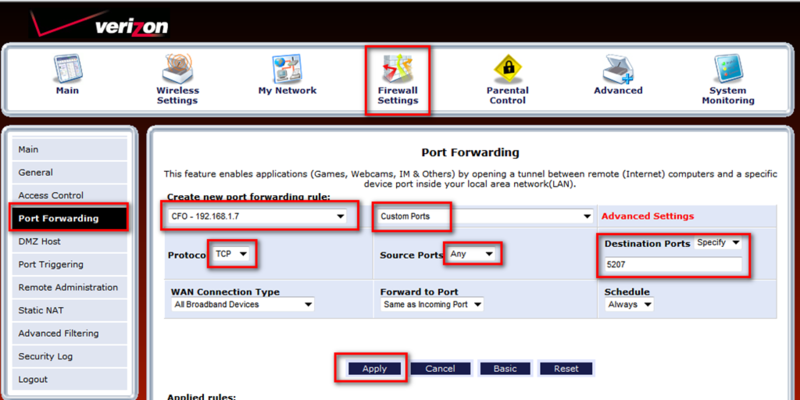 Select Port Forwarding and select the machine to which you want to forward the RDP traffic. 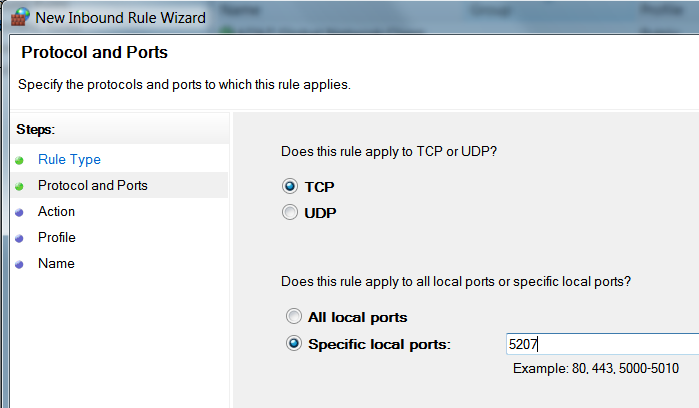 Next, select custom ports, as there is not a rule for RDP traffic. Here’s how you have to define your port. Protocol is TCP, Source Ports is Any and Destination Ports is 3389 (or whatever custom port you want to use). I have performed some tests to change the source port from Any to 3389 (which would seem to make sense for me) and it no longer works. If you use a custom port the only difference is what you enter in the Destination Ports field. There are some limits of allowable port numbers, so be aware and don’t enter something like 99999! 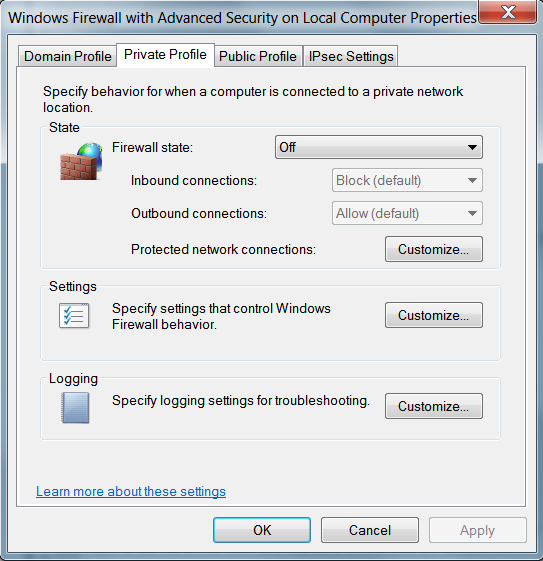 You need to make sure the Windows firewall (or whatever extra firewall crap you have running) does not block the RDP traffic on your port to your computer. Here’s the Windows Firewall version. After some testing (turning each profile on/off), I found that the Private Profile on the firewall is what does the blocking. It makes sense, because the traffic coming from the internet is actually forwarded to the local network, hence it is traffic on the private network. 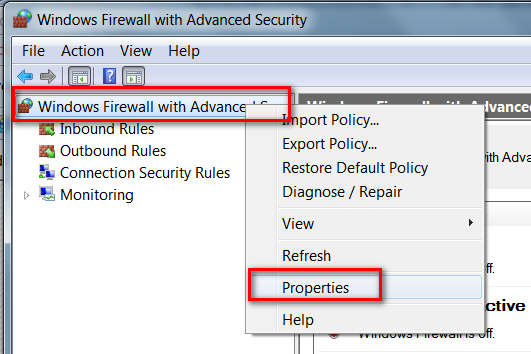 You open the Properties dialog on Windows Firewall with Advanced Security to easily turn the firewall scopes on and off to check them out. You might want to turn them off until you get it working. 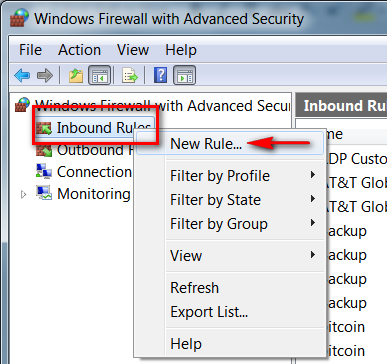 To allow the RDP inbound traffic on the standard port of 3389, you can enable the Inbound Rule called “Remote Desktop (TCP-In)” in the inbound rule set. Simply right-click and enable it. If you need to create a custom rule for a custom port (in other words, you don’t want to use 3389 or it is blocked) you must create a new inbound rule. 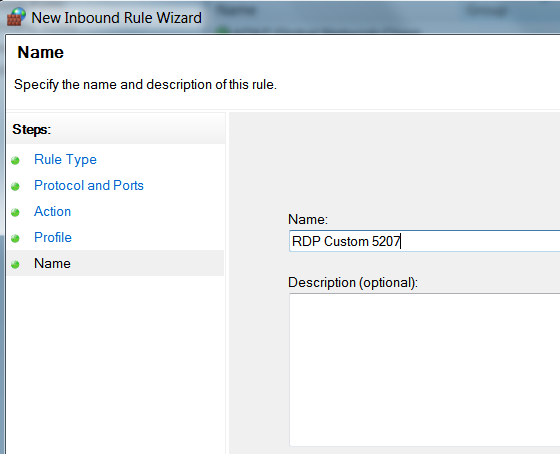 To create a new inbound rule, select Inbound Rules and the right-click to start the Rule Wizard. Give it a name. This is for a custom rule I was using on port 5207. Your finished rule should look something like this. Now you need to make sure the port makes it through your router. To do this, use the CanYouSeeMe.org web tool. If you have set up your port forwarding rule an your firewall rule, the traffic should go to the port (3389 if the default port is used) you’ve set up. Before I created and enabled the port forwarding rule. 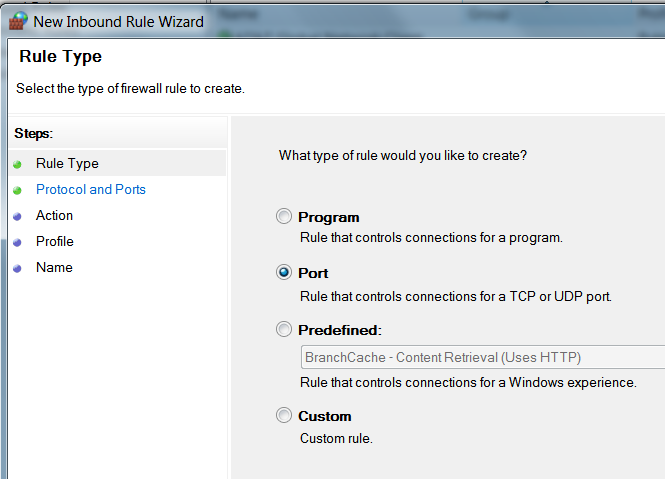 Here you can see I’ve created the port forwarding rule. If you want to change the listening port from the default of 3389, you can do this in the registry. HKEY_LOCAL_MACHINE\SYSTEM\CurrentControlSet\Control\Terminal Server\WinStations\RDP-Tcp\PortNumber is the key name. Change it to the Decimal value of your choice (within limits, of course). No need to reboot. Simply start the services.msc applet and restart Remote Desktop Services so it picks up the new port. 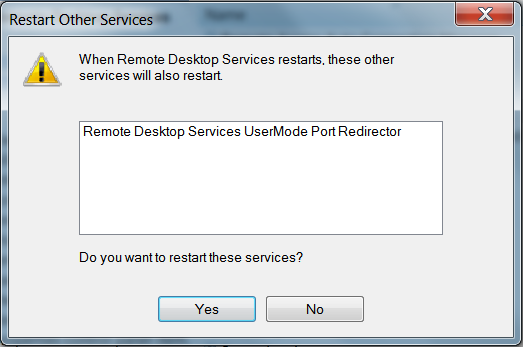 It will also restart the Remote Desktop Service UserMode Port Redirector (which really makes sense). This entry was posted on January 15, 2012 at 8:39 pm	and is filed under Computer Repair, Instructions, Networking. You can follow any responses to this entry through the RSS 2.0 feed. You can leave a response, or trackback from your own site. And it doesnt work on a custom port. If I user 3389, it works great. But I wan to be able to remote to multiple computers inside my Fios network. Works perfectly for me. I’m able to access multiple computers remotely using the default and custom ports. Thanks a lot for posting this!!! There is reason why the source port must be set to “any.” That is because each TCP connection has two ports – the outgoing (source) port on the client computer and the incoming (destination) port on the server computer. When a client computer creates a request for a new TCP connection on a server, the destination port is the port of the service on the server, but the source port is some random port that happens to be free at the time on the client — it couldn’t be the same as the port of the service, or else the client could not run that service. The router reads these IP packets, and keeps track of connections based on the these two IP:Port pairs. That’s how a server can handle thousands of simultaneous clients on the same service. Working through your fix – I finally discovered that the machine that I could not get to connect somehow had the RDP-Tcp port number set to 3390. Once I changed it to 3389 it connected. Thank you very much for your help. I’m with Ss and John. I haven’t had much luck with RDP either. I’ve been using RHUB’s appliance. I can access multiple PCs — as well as grant multi-party access. Thank you so much! This ended days of uselessly fooling around and getting nowhere. 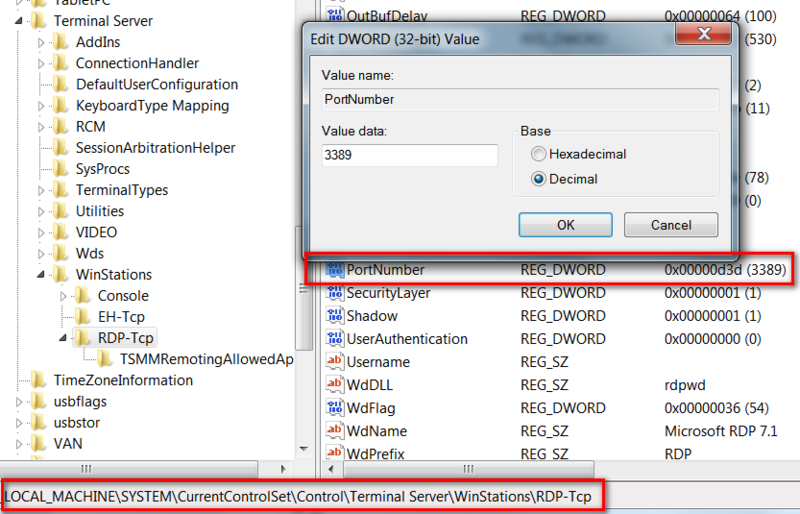 To RDP to multiple computers specify source ports as “any”, destination ports as the client side port (for example 3390), and “forward to port” as 3389. Then when you rdp add the client side port (“:3390” in this example) to the ip address. This works for me. Also it appears like a forwarding rule is required for each server mac address that is used. 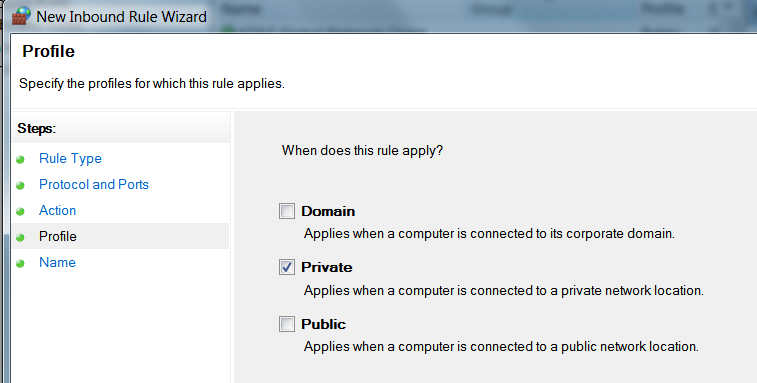 My servers can vary between wireless or wired, so a rule is required for each. This is required because the router assigns static ip addresses by mac address, not computer name. The Netgear dual wan router I was using was able to assign static address by computer name. Great posting, helped me a lot. I was getting confused on the source port, which I now realize should be Any. Thanks for taking the time and including screenshots.